You have discovered the ultimate in Romantic Retreats. Experience award winning, 100% private, reef-fringed tropical island accommodation on secluded Bedarra Island, offering you the choice of three luxury, picture perfect couples retreats... East Bedarra Island Retreat , Bedarra Hideaway and Bedarra Beach Villa . 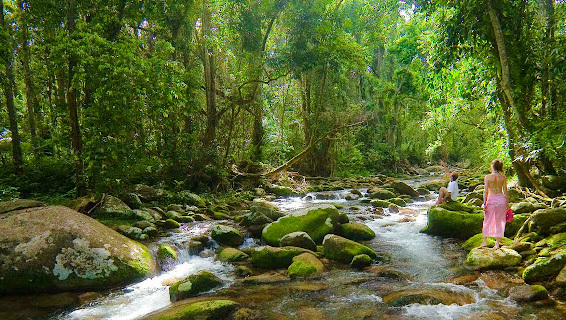 If tropical rainforests and mountain streams appeal to your senses, experience the luxurious rainforest setting of Misty Mountains Tropical Rainforest Retreat, a romantic holiday oasis offering couples a uniquely private tropical experience. 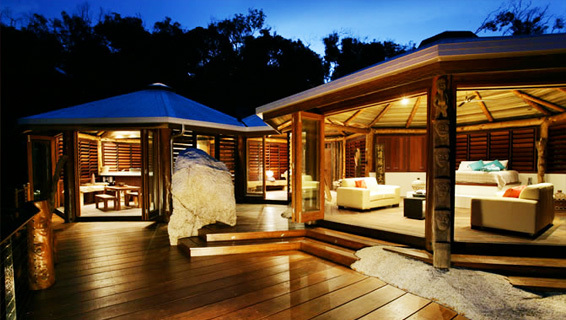 Read on for the best honeymoon destinations and romantic getaways in Queensland, Australia. Bedarra Island is one of Australia's best kept secrets and these award-winning romantic retreats offer absolute privacy and luxury. 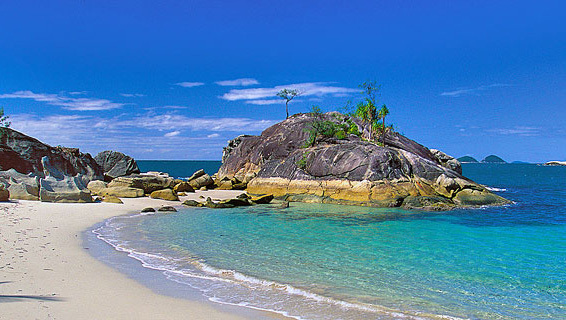 All come with sweeping ocean views and sun kissed beaches fringed with lush rainforest and the Great Barrier Reef. Bedarra Island is the perfect romantic getaway or honeymoon destination. The only reason it's not on everyone's ‘top ten romantic destinations' list is because so few people have discovered it. Be one of the first! Experience the best of nature, privacy and luxury at Misty Mountains Tropical Rainforest Retreat, a unique romantic getaway, honeymoon destination, and tropical wedding venue nestled within one of Queensland's most beautiful rainforests. 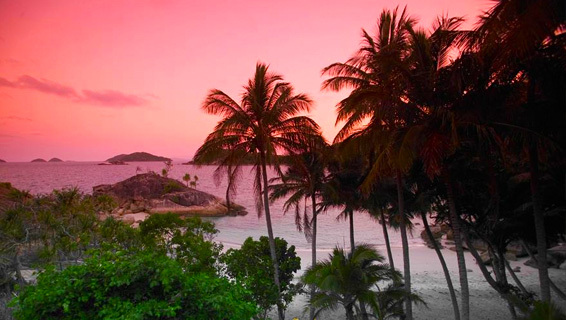 Described as ‘the perfect romantic getaway' on Trip Advisor, it's a place for couples to relax and reconnect in a tropical paradise so private each couple has the whole retreat to themselves. 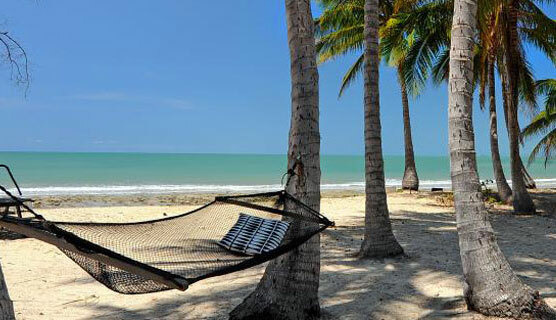 Described as one of the 'Best Beach Houses in the World' by Conde Nast Traveller, 31 Degrees at Oak Beach near Port Douglas offers unpretentious style right on the beach with enough room for your friends and family. Ideally situated on the stunning waterfront of Cairns with amazing views over the marina, Cairns Harbour Lights hotel offers 90 beautifully appointed and fully self-contained 1, 2 and 3 bedroom apartments. Furnished balconies make the most of the stunning views across Cairns marina, Marlin Parade or parklands. Show the one you love just how much they mean to you. For an unforgettable tropical honeymoon, the perfect rainforest or beach wedding venue, or a romantic getaway for some time-out together, Romantic Retreats offers the best of Tropical North Queensland. Now Paradise has an address.